Great art should be seen. Studio A tackles the barriers that artists living with intellectual disability face in accessing conventional education, professional development pathways and other opportunities needed to be successful and renowned visual artists. We now offer a comprehensive Engagement Program to foster and build creativity in the community and workplace, all while offering engaged employment opportunities to artists with intellectual disability. Reinvigorate your foyer or floor space with an art exhibition and engage your audience with opportunities for artist talks. Image: Studio A Flying High, an exhibition of bird-inspired artworks by Studio A artists held in Sydney College for the Arts foyer. Studio A can deliver creative workshops to help with your innovation and team building objectives. This can be done onsite or at our studio. Image: Studio A supported artist, Damien Showyin, leading a painting workshop. Image: Studio A artist Meagan Pelham leading an ‘Owl Love’ workshop at First Draft gallery as part of the Paired exhibition public program 'Co-Lab', June 2018. The Studio A Props Collective can design and create decorative sculptures for your next event. 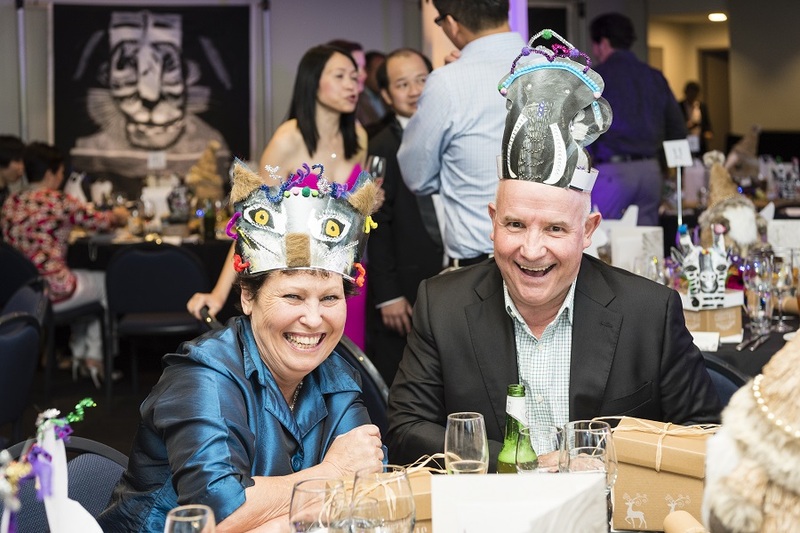 Image: Two employees of Liberty International Underwriters wear animal-inspired party hats created by the Props Collective for their Christmas party held at Taronga Zoo.